The people of Pittsburgh and the Western PA region have a deep pride and connection to our roots and an honor to those who came before us. Pittsburgh is a city that has much to be proud of. The growth of the area in the late 1800s-1900s is an achievement unprecedented in other parts of the country. As our region rises from the ashes of the mills, we will look back on the incredible people and events that lead us to this second birth as a powerhouse region. This series is made possible with support from UPMC. 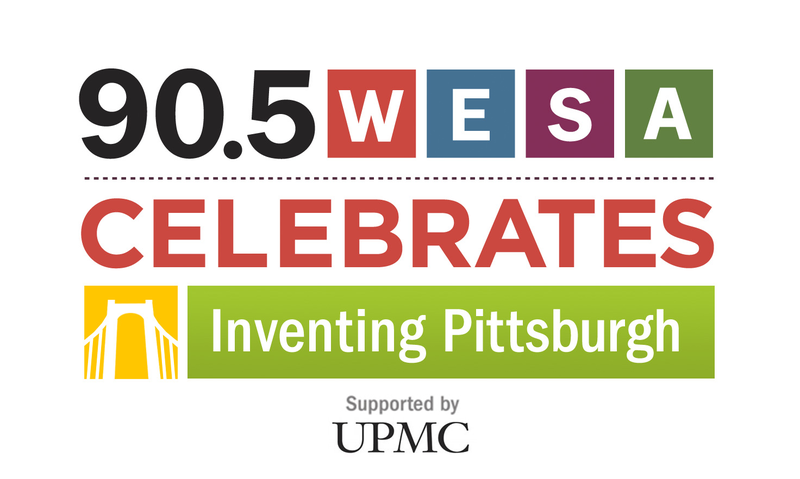 You can check out 90.5 WESA Celebrates People Making a Difference here, which was also supported by UPMC. The murals in the United States Post Office and Courthouse on Grant Street are pretty hard to get to. There’s security, now, unlike when the Department of Treasury’s Section of Painting and Sculpture commissioned the three works in 1934. Two of the octogenerian paintings survive on the 8th floor; one disappeared. That’s the thing about murals, said Sylvia Rhor, associate professor of art history at Carlow University. They’re large, but they’re not immune to time’s vagaries. They can go missing, be discarded or painted over. At the Carpenter’s Training Center just outside the City of Pittsburgh on the Parkway West, a class of nine learns how to build a level floor. Forty years ago, getting into the center’s apprenticeship program would have been a feat for a person of color or a woman. The Pittsburgh region is notoriously proud of its European immigrant roots, but the history of Pittsburgh’s Latino population is lesser known. This week on Inventing Pittsburgh, Margaret J. Krauss reports that their story goes back almost 100 years. La región de Pittsburgh es notoriamente orgullosa de sus raíces inmigrantes europeos, pero la historia de la población latina de Pittsburgh no es tan conocido. Esta semana en "Inventing Pittsburgh", Margarita J. Krauss informa que su historia se remonta casi 100 años. From one of the file folders arrayed on her kitchen table, retired Spanish professor María de los Ángeles Stiteler pulls out a lyrics sheet. “They used these foreign offices as proof of the quality of their merchandise—how up to date that merchandise was, how up to the minute the styles were,” Insana said. What’s transparent but opaque? Functional yet artistic? The miracle material of the modern age? Glass. This week on Inventing Pittsburgh, Margaret J. Krauss reports that this region was once the nation’s glass capital. And while its heyday is past, the industry lives on. Walking down Penn Avenue in Garfield, people likely don’t see Jason Forck through the window two stories up as he balances a near-molten glass tumbler at the end of a steel rod. The main building on Carrie Furnace’s 80-acre site in Braddock looks like a giant has just scattered its playthings and stomped off, not too far away, to eat a few goats. Inside the blowing engine house a 48-inch universal plate mill lies in 40- and 50-ton pieces on the concrete floor. A sign hanging at the south end lists the safety guidelines (“6. Be aware of crane movements”). Bill Sharkey sits on a few benches meant for visitors. Next week the Paris climate talks will convene a world away from the men and women in Western Pennsylvania who mine coal, an industry that’s older than the city itself. This week on Inventing Pittsburgh, Margaret J. Krauss reports on the pressurized rock that binds us together. Don Zeiler stands on a wall in the middle of the Monongahela River. In work boots and a bright orange jacket, the lockmaster at Braddock Locks & Dam is dressed for dance. “When you’re dancing with your partner you take a step, they need to know where to go: when I’m doing this, then you do that, then I’ll do this, then you do that. So that’s basically what locking is,” he explained. Hey, Steelers, Where'd You Get That Logo? In Pittsburgh, the Steelers logo is as recognizable a form as a heart or a cross or the city skyline itself. This week on Inventing Pittsburgh, Margaret J. Krauss investigates how those three curvaceous diamonds became synonymous with the Steelers. The love Steelers fans have for their team is the stuff of legend: hordes of faithful waving Terrible Towels, wearing logo-emblazoned pajama pants, cheering in one of the nation’s more than 700 Steelers bars. So I figured the best way to learn the back-story of the logo was to go right to the source: Heinz Field, on a Sunday, an hour before kickoff. You’re coughing, you’re sniffling; you feel terrible. So you go to the doctor, get a prescription and get better, right? Margaret J. Krauss reports for this week’s Inventing Pittsburgh, getting well has always been a complicated and personal business. Anchored at the corner of Fifth Avenue and McKee Place in Oakland, Hieber’s Pharmacy sports a glass block window that reads, “We Create Medicine For Your Family.” Inside, white cabinets hold powdered chemicals and a rainbow assortment of empty capsules waiting to be filled. Hieber's is a compounding pharmacy. Let’s get this out of the way: The stuff you put in the recycling bin does get recycled. “Yes, we do. We recycle. That’s the name of the game,” said Robert Johns, plant manager of a single-stream material recovery facility, MRF, owned by Waste Management. When people think of Pittsburgh's industrial might, what they don't see are the sheep the city was built on. This week on Inventing Pittsburgh, the softer side of prosperity. Georgie Kovacosky leaned on the fence surrounding a sunny enclosure on her 230-acre farm in New Bethlehem, about 60 miles northeast of Pittsburgh. It was October 1916. The Brooklyn Robins, later the Dodgers, played the Boston Red Sox in the World Series, making it possible to forget, for a little while, that summer was over and Europe was at war. Pittsburgh newspapers posted the scores in their office windows and so many people crowded the streets to keep tabs that City Council supposedly passed an ordinance prohibiting the papers from doing so. Pittsburgh has three major historic cemeteries: Allegheny, Union Dale and Homewood. For this week’s Inventing Pittsburgh, we find out that cemeteries have always been more than just places to bury the dead in an audio postcard from Margaret J. Krauss. Michael Joyce started working at Homewood Cemetery in 1978, cutting grass. “I live real close to here so it was just a summer job,” said Joyce, now the tie-wearing superintendent of the more than 200-acre spread. He’s responsible for everything that happens outside. In July, the mayor signed a new law that clarified and enabled urban agriculture. But city farming, whether personal or commercial, isn’t so much a new idea as it is a throwback. After a long day of moving goats around the city, Doug Placais stood – sweaty, covered in dirt – a mile from Downtown Pittsburgh at Arlington Acres, the one-tenth of an acre urban farm he owns and operates with Carrie Pavlik. Jazz is alive and well in Pittsburgh. Stephanie Wellons sings as easily as most people talk. Used with permission from Carlino Giampolo and the Panther Hollow homepage. Bloomfield isn't Pittsburgh's only Little Italy, just its most visible. Panther Hollow is an Italian enclave, complete with its own dialect. Boundary Street runs through Panther Hollow in the shape of an inverted L. The houses cluster on the northern and western sides of the street and all face inward toward a stretch of grass and trees. They aren’t numbered chronologically, though the first few homes begin ordinarily enough: 1, then 1 ½, 2, 3, 5, 7, 9. Then 523, 525, 12, 14, 17 and 40.